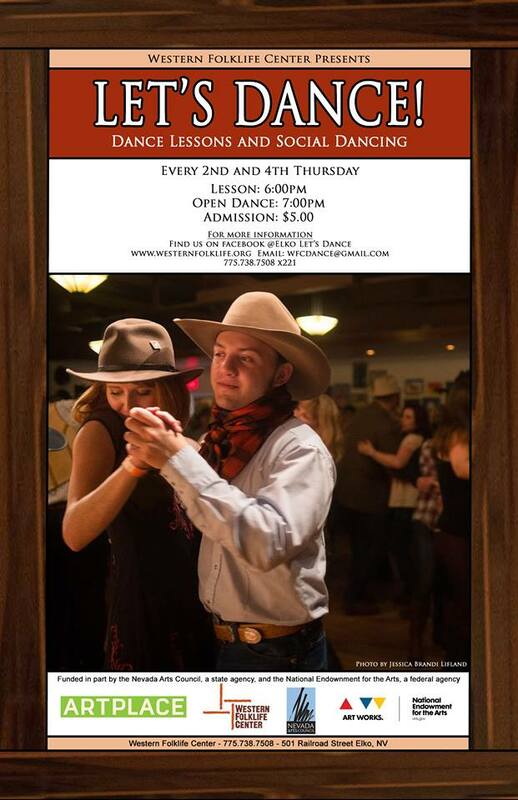 Join us at 501 Railroad Street, Elko, for a fun evening at the November Let's Dance! The evening begins with dance lessons in WALTZ at 6:00 pm, followed by open dancing at 7:00 pm. Cost is $5, Adults and teens welcome and no experience is necessary. Follow Elko Let's Dance on Facebook for the latest information about the lesson plan, or contact: wfcdance@gmail.com. Note: One Night only in November and December 2018 and January 2019. We will return to our every 2nd and 4th Thursday schedule in February 2019.